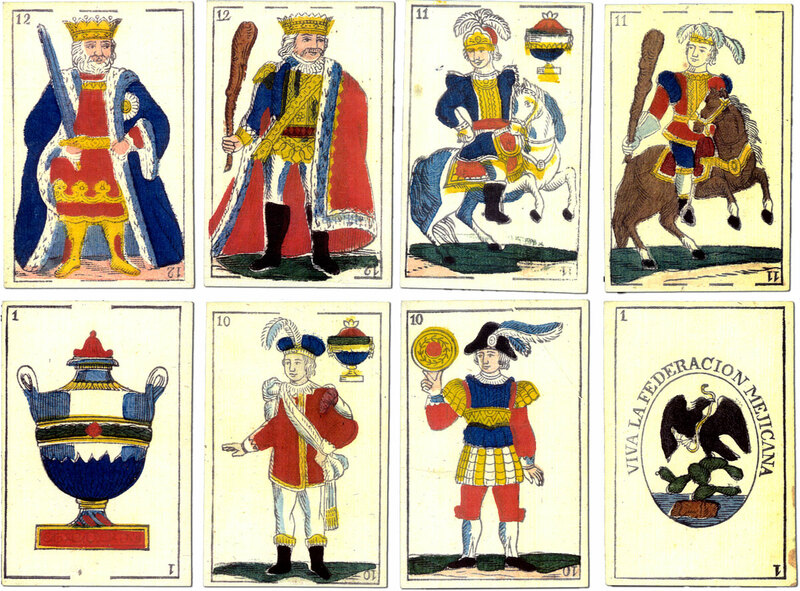 Cards from a Mexican pack c.1835; maker unknown. The cards are of the 'Plumed Hat' or 'Llombart' pattern and were issued in support of the Mexican Federation. Mexico gained independence from Spain in 1821. One year earlier, a popularist revolution overthrew the newly established Mexican Empire for a federated republic. Numerous civil wars ensued followed by a war against the USA in 1846-8 in which Mexico lost much territory. The particular event, if any, that gave rise to these cards is not known.